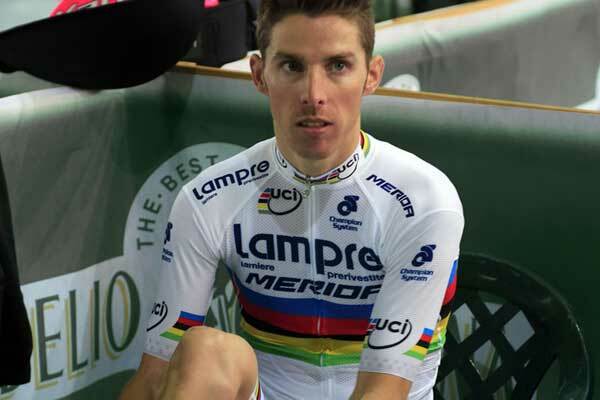 Road race World Champion Rui Costa and his Lampre-Merida team have all been outfitted with new team kit from Champion System for 2014. 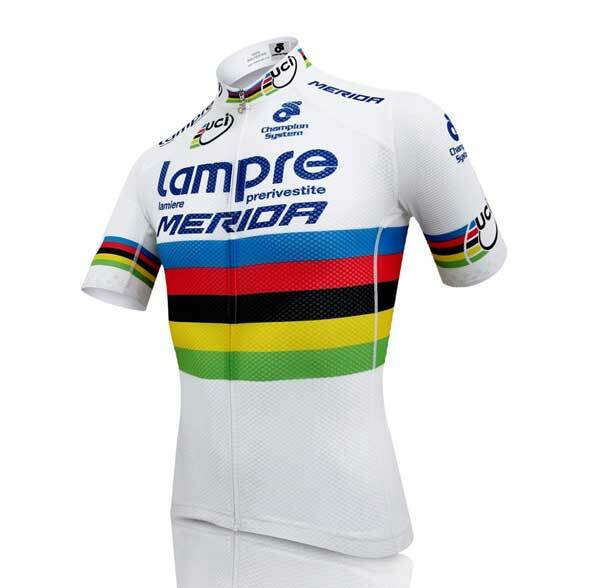 Costa will sport his rainbow bands in a Champion System Razor Carbon jersey, which is the company’s latest multi-panel design made from various technical fabrics. 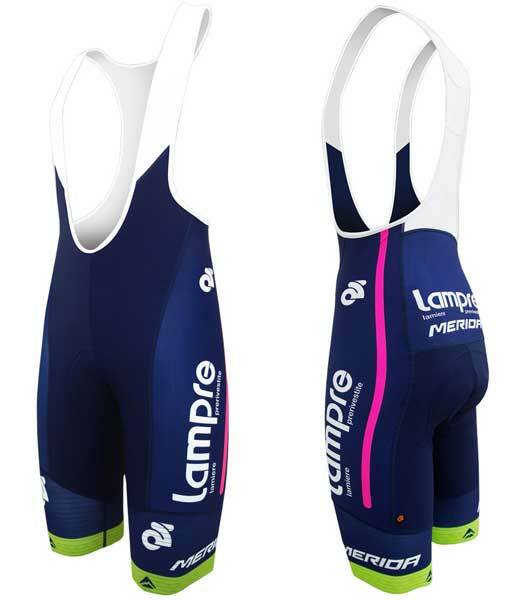 The rest of the team will ride in a redesigned kit which is slightly less in-your-face than previous years, yet retains the squad’s trademark fuschia and navy blue colourscheme. The front panel of the jersey is made from CS Dimple fabric to stretch and prevent drag whilst also featuring an aerated design to help cool the rider. The rear panel is made of CA Air Lite, which provides a high degree of protection against the sun. The side panels are made from a different material again, CS Tech Mesh – which as the name suggests is a stretchy mesh fabric, again designed to dissipate heat. Finally, the shoulders and sleeves use CS Carbon material, which includes threads of carbon-fibre. 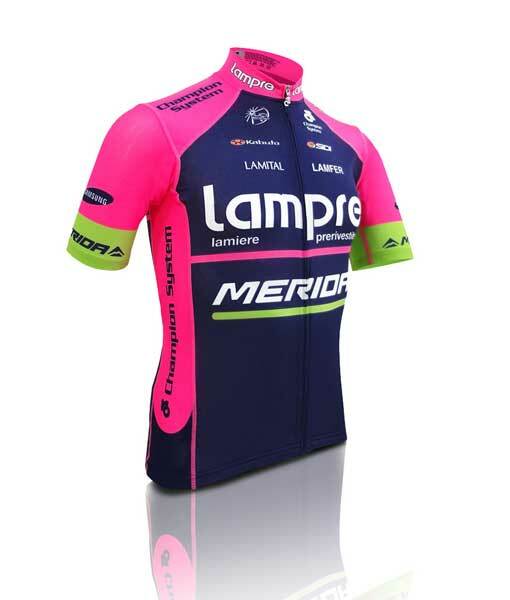 Champion System started its three-year deal to provide kit for the Lampre-Merida team last season. Champion System offers a kit designing service for any cycling team or club, which includes free artwork and setup, unlimited colours, 10 piece minimum order, Italian fabrics and online club/team ordering system. Further details are available on the Champion System website.